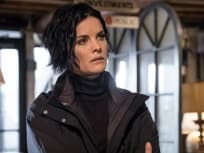 On Blindspot Season 1 Episode 23, Jane turns to a former suspect for assistance while Weller goes on a difficult search for the truth on the season finale. 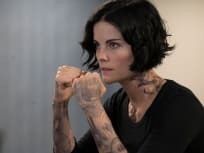 "If Love a Rebel, Death Will Render"
On Blindspot Season 1 Episode 22 when an abandoned baby is found with similar tattoos to Jane's, the team try to identify the baby and save other infants. 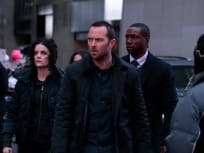 On Blindspot Season 1 Episode 21, when lockdown is ordered at the FBI office, the confinement finds the team unable to ignore their personal conflicts. 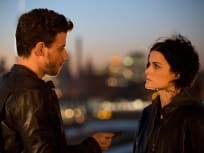 On Blindspot Season 1 Episode 20, the case of a mysterious girl brings danger when she has ties to terrorism and Jane and Weller grow closer once again. 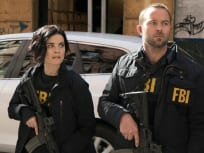 "In the Comet of Us"
On Blindspot Season 1 Episode 19, the team investigates the shooting on a college campus while Mayfair is forced to confront personal issues from her past. 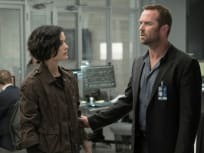 On Blindspot Season 1 Episode 18, Jane must make a difficult decision when a questionable order she receives from Oscar may put Weller in danger. 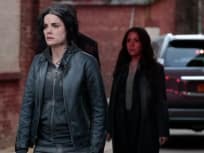 On Blindspot Season 1 Episode 17, after uncovering a hidden message in a crossword puzzle, Patterson ends up in harm's way and Jane gets info about her past. 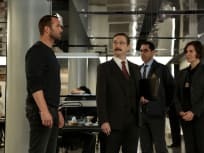 On Blindspot Season 1 Episode 16, the team scrambles to stop a terrorist plot when they find that chemical weapons are stolen from an armored truck. On Blindspot Season 1 Episode 15, an image featured in one of Jane's tattoos ends up originating from a painting that has been stolen from an art gallery. 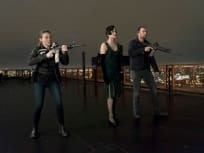 On Blindspot Season 1 Episode 14, Jane considers leaving the FBI after almost being caught during a mole hunt and Zapata goes undercover for an investigation. 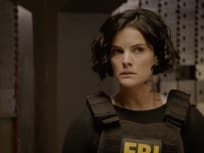 On Blindspot Season 1 Episode 12, when a veteran goes on a shooting rampage at a military base it evokes memories for Jane regarding her curious background. 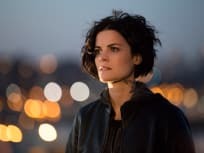 On Blindspot Season 1 Episode 11, one of Jane's tattoos leads to a discovery in the Black Sea while Jane struggles to come to term with her tattoos. The team must rush to try and stop sleeper spies who get activated in preparation for assassinations on a brand new episode of NBC's Blindspot. 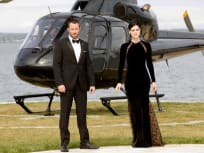 Jane and Weller go undercover as a very successful assassin couple with the goal of protecting some lethal information on a brand new Blindspot. The team attempt to prevent more attacks when Patterson figures out that a tattoo predicted a cop's murder on a brand new episode of Blindspot. 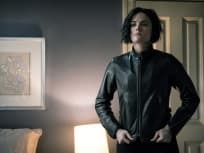 Jane and Weller's strained relationship is tested while the team faces a menacing criminal at a remote location on a brand new episode of Blindspot. The creator of a hazzardous app designed to track government vehicles winds up helping the team trying to take the app down on a brand new episode of Blindspot. 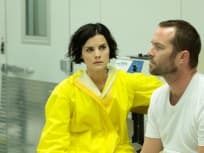 Jane meets Weller's family but Carter argues with Mayfair when he reveals that he's skeptical about Jane's loyalties on a brand new episode of Blindspot. Patterson and her boyfriend decode a tattoo which unearth a destructive plot with possible global repercussions on a brand new episode of Blindspot. Jane learns she has the same Navy SEAL tattoo as a recently captured jewel thief and a man from Jane's memory pays her a visit on a brand new episode of Blindsot. Jane recalls bits and pieces of an unsettling memory while one of her tattoos gives the team a jump on a destructive plan on a brand new episode of Blindspot. A Jane Doe with a body of tattoos that have links to someone within the FBI shows up in a bag, in Times Square. Get ready for the series premiere of Blindspot.